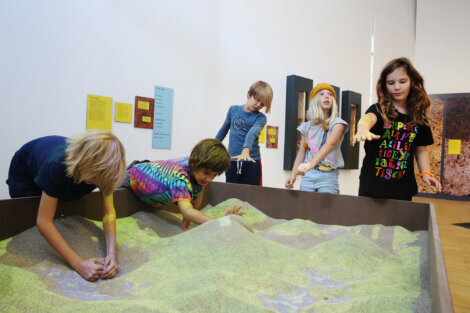 Social commitment represents a cornerstone of Borealis’ sustainability strategy and the sponsorship of the new ‘EARTH & SOIL’ interactive exhibition is part of a long-term cooperation with the ZOOM Children’s Museum in Vienna, Austria. Borealis, a leading provider of innovative solutions in the fields of polyolefins, base chemicals and fertilizers has been one of the three main sponsors of the ZOOM Children’s Museum in Vienna since 2013. Following the successful ‘PLASTICS’ exhibition in 2015, Borealis is now again serving as a partner for the current ‘EARTH & SOIL’ interactive exhibition (27 September 2018 to 24 February 2019), which deals with the topic of earth. ZOOM is thus addressing an issue of ecological and social relevance. The biological diversity and the ecological balance of the soil constitute a major treasure that must be preserved. The new interactive exhibition underlines the importance of maintaining the fertility and fruitfulness of our soil, in order to be able to feed the growing global population in future, while simultaneously safeguarding the environment to the greatest possible extent.